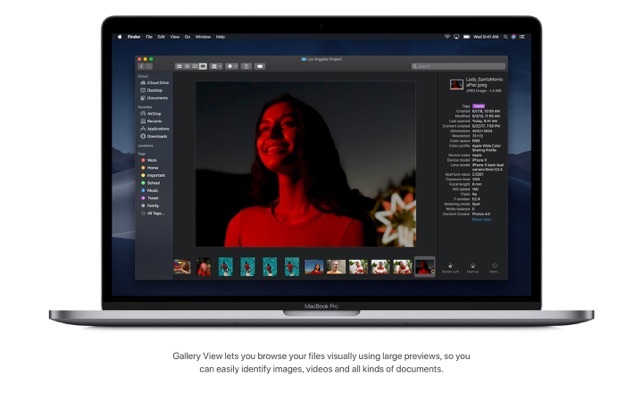 macOS Mojave delivers new features inspired by its most powerful users but designed for everyone. Stay focused on your work using Dark Mode. Organise your desktop using Stacks. Experience four new built-in apps. 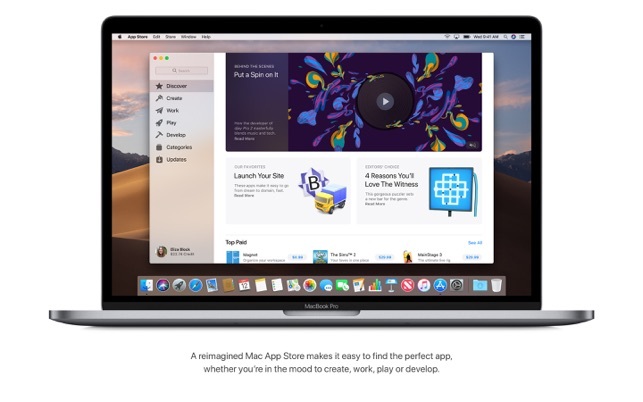 And discover new apps in the reimagined Mac App Store. 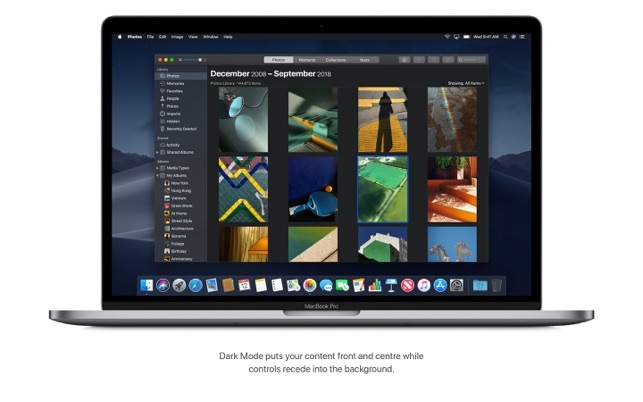 • Experience a dramatic new look for your Mac that puts your content front and centre while controls recede into the background. • Automatically organise your desktop files by kind, date or tag using Stacks. 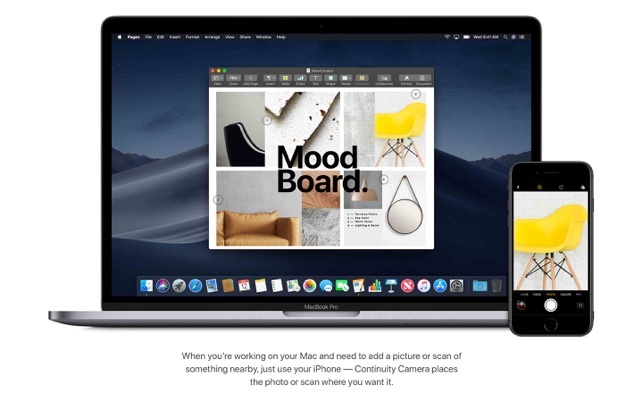 • Rotate an image, create a PDF and more — directly in the Finder using Quick Actions. 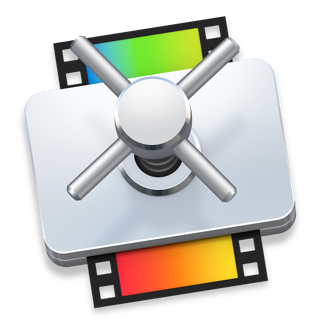 • Mark up and sign PDFs, crop images and trim audio and video files using Quick Look. • Browse handpicked apps in the new Discover, Create, Work and Play tabs. • Discover the perfect app and make the most of those you have with stories, curated collections and videos. • Start a personalised station of any artist’s music from the enhanced artist pages. • Block Share and Like buttons, comment widgets and embedded content from tracking you without your permission with enhanced Intelligent Tracking Prevention. 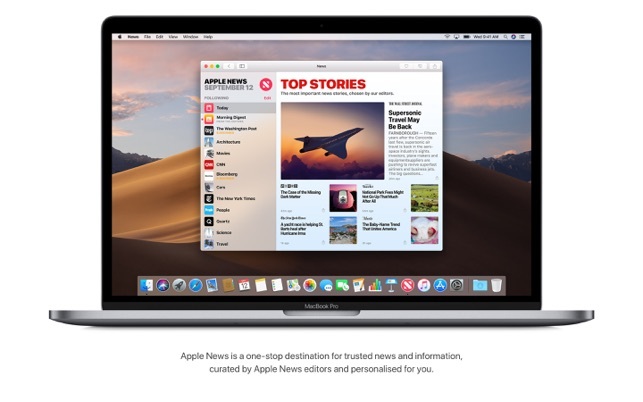 • Read Top Stories selected by Apple News editors, trending stories popular with readers, and a customised feed created just for you. • Keep your favourite topics, channels and saved stories up to date on your Mac and iOS devices. 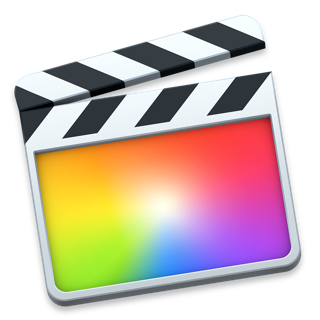 • Create a customised watchlist and view interactive charts that sync across your Mac and iOS devices. 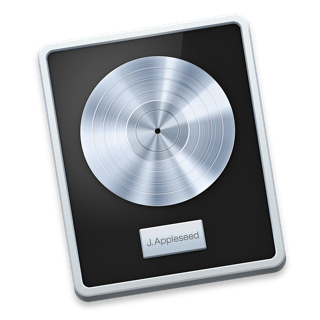 • Make audio recordings, listen to them as you work with other apps, or use them in a podcast, song or video. • Organise and control all your HomeKit accessories from your desktop.